I ate this pie. Best pie my mouth has ever had the privledge of eating. Thanks Cindy for your baking skills and the patience to make the pie look pretty, too. Worth a stop, peeps. 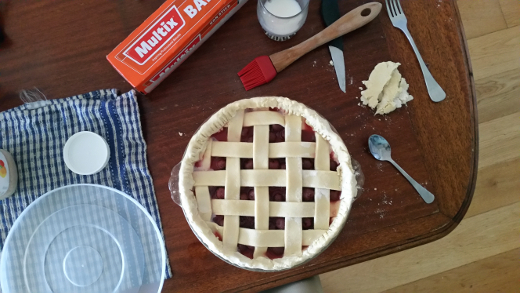 Surely, there is no other recipe than cherry pie when channelling twin peaks. This looks amazing - it is something I have had on my to do list at times. Far more than I have had much desire to watch the new series. But the show gave me too many nightmares many years ago!